Kate has a degree in Law from Sheffield University and joined PM Property Lawyers in 2015 as a conveyancing assistant. 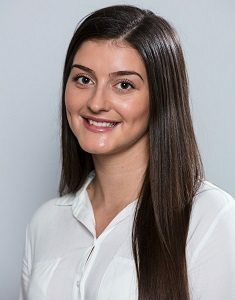 She graduated from the PM Property Lawyers training scheme as a property lawyer in 2017. She loves helping clients through their house move and making it as stress-free as possible for them. Outside work, Kate enjoys horse riding and also loves shoes! Kate is supervised by Reece Suter.